Fremont Street Las Vegas celebrates the 40th anniversary of the Moon Landing, commemorating the Apollo 11 mission. Events will kick off Thursday, July 16 through 26, 2009. Headlining concerts by The 5th Dimension and Jefferson Starship. The “One Giant Leap” events will also feature nightly entertainment including bands California Dreamin, Venus Rising, Mojo Rising (a tribute to The Doors) and Yesterday - A Tribute to The Beatles. Throughout the 11-day commemorative event, Fremont Street Experience will also play a special “40th Anniversary of Moon Landing” Viva Vision show that will highlight the day-by-day events of the Apollo 11 mission. The free headliner concerts will feature Jefferson Starship on Saturday, July 18 at 9 p.m. on the 3rd Street Stage, and The 5th Dimension on Saturday, July 25 at 9 p.m. on the 1st Street Stage. The 5th Dimension is a multiple Grammy-winning American popular music vocal group, whose repertoire also includes pop, R&B, soul, and jazz. The group was best-known during the late 1960s and early 1970s for popularizing the hits “Up, Up and Away,” “Wedding Bell Blues,” “Stoned Soul Picnic,” “One Less Bell to Answer,” “(Last Night) I Didn’t Get to Sleep at All,” and “Aquarius/Let the Sunshine In.” The five original members were Billy Davis, Jr., Florence LaRue, Marilyn McCoo, Lamonte McLemore, and Ron Townson. The group also covered music by well-known songwriters such as the song “One Less Bell to Answer,” written by Burt Bacharach and Hal David. And perhaps best of all, they became great interpreters of the songs and music of Jimmy Webb, who penned their original mega-hit “Up, Up, and Away,” including an entire recording of memorable Webb songs called The Magic Garden. Jefferson Starship is a true American rock band that was popular in the 1970s and 1980s. Although its origins are complex, it is generally regarded as a spin-off from Jefferson Airplane and evolved from a 1970 science fiction-themed concept album by then-Airplane member Paul Kantner entitled Blows Against the Empire. The group originated as Jefferson Airplane in 1965 and throughout the late 1960s was one of the most sought-after and highly-paid concert acts in the world. Their recordings were internationally successful as they scored two US Top 10 hit singles and a string of Top 20 albums. Their 1967 record Surrealistic Pillow is still widely regarded as one of the key recordings of the so-called Summer of Love period and brought the group international recognition. Jefferson Starship continues to tour the United States performing hits from their psychedelic music past. Fremont Street Experience will also host a special educational forum with NASA Astronaut Scott J. Kelly for students of the Clark County School District on Monday, July 20 and Tuesday, July 21 at the 1st Street Stage area. Kelly will conduct three, one-hour sessions each day at 10 a.m., 11:30 a.m. and 1 p.m., discussing his two Space Shuttle missions and including a Q&A portion at the end. The public is also welcome to attend. NASA Astronaut Scott J. Kelly received his commission from the State University of New York Maritime College in May 1987 and was designated a naval aviator in July 1989 at Naval Air Station (NAS) Beeville, Texas. Kelly has logged more than 4,000 flight hours in more than 30 different aircraft and has over 250 carrier landings. Kelly was selected by NASA in 1996 and is a veteran of two space flights, logging more than 497 hours in space. Scott J. Kelly has an identical twin brother, Mark Kelly, who is also a NASA Astronaut. In addition to the concerts, nightly entertainment and a special appearance by Astronaut Scott J. Kelly, Fremont Street Experience will host a book signing with 1969: The Year Everything Changed author Rob Kirkpatrick. The book signing will take place on Friday, July 24 at 6:30 p.m. at John Van Hamersveld’s Hippie Nation™ Gallery & Records. The public is welcome to attend this special meet and greet opportunity with the author and purchase a copy of his book to be autographed. In 2009, Rob Kirkpatrick published the book, 1969: The Year Everything Changed. Divided into four parts that correspond with the four seasons of the year, the book chronicles the history of 1969 in American society and culture. Kirkpatrick delves into such important events as the Richard Nixon’s inauguration, the birth of punk music and the first Led Zeppelin tour, the Santa Barbara oil spill and the Cuyahoga River fire, the Apollo 11 moon landing, the Woodstock Festival, to name a few. 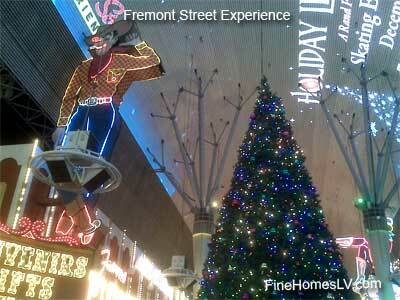 All events for Fremont Street Experience’s “One Giant Leap: 40th Anniversary of Moon Landing” are free to the public.